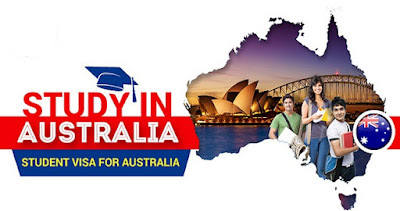 How to Get Student Visa for Australia. International students who wish to come to Australia to study will need to know how to get student visa for Australia. In order to be eligible, the student must already have been offered an unconditional place at an Australian university and must have already accepted the place in writing as well as having already paid the necessary deposit for tuition fees. Australian student visas are required for anyone who is studying for a period of longer than four months in the country, and is applicable to several course types including language courses, undergraduate and postgraduate programs of study and some vocational qualifications. In order for the visa to be accepted by the authorities, the course must be an accredited one. Once a student visa has been issued, the holder is entitled to remain in Australia throughout the period of their course plus 28 days following the day of their last class. Multiple courses can be taken under the same visa however the maximum length of course is 50 weeks, with the minimum duration being 12 weeks. There are several visa types which can be applied for by prospective students who wish to come to Australia. Those undertaking a vocational program should apply for visa Subclass 572, while those attending as an undergraduate will need Subclass 573. Postgraduate students will need to apply for Subclass 574, while those who are studying for a course that does not result in a qualification will need to apply for Subclass 575. It is only possible to submit an application once a Confirmation of Enrollment has been received from the university or course provider. You can only make your application a maximum of 124 days before the commencement of the course. While some applicants will be eligible to apply online, depending on their country of origin, some applicants must submit a paper application to the Australia High Commission. You should bear in mind that it may take up to 4 weeks to process and accept your application, although applying online is quicker than the paper application route. Once your application has been accepted, you will be permitted to travel to Australia using your visa up to 90 days before the commencement of the course. Unlike the Working Holiday Visa, there is no age limit for anyone applying for an Australian student visa, and those who have already been issued with a Working Holiday Visa for Australia are still eligible to apply. How Much Does a Student Visa Cost? The current price for an Australian student visa is $550 AUD and this must be paid at the time of submitting the application. If you wish to bring dependents with you to Australia, you must also be an additional fee unless you are applying for visa subclass 574. Students who have an Australian student visa are permitted to do up to 40 hours of work per fortnight during term time and full time work during holiday periods. You will not, however, be permitted to start working until commencement of your course. Any work that is a formal part of your study will not be included in this limit. Voluntary and unpaid work is also not counted in the 40 hour limit if it is considered to be for a non-profit organization, would not be a paid job for an Australian resident and if it is of benefit to the community. Partners are permitted to accompany successful applications as long as there is proof that you have been in a committed relationship for a minimum of one year before application. In order to apply you will need your Confirmation of Enrollment, the necessary fee, your passport number and evidence of having paid Overseas Student Health Cover. Citizens of some countries will be required to undertake a health assessment and those who are training within the medical professional will also have to agree to a health check. Applications can be submitted to the Australian High Commission by post or, for some applicants, online at official website.